Home » Law of Attraction Resources » Are You Ignoring These Signals From the Universe? 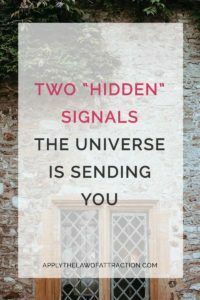 Are You Ignoring These Signals From the Universe? * How to detect and de-code the 2 “hidden” signals the Universe is sending you RIGHT NOW to help guide you toward a life you’d truly love living. * The spiritual success secret that Walt Disney and other great dream builders have used to transform their dreams from the realm of imagination into REALITY! * Plus, you’ll learn how to free yourself from negative thinking so you can start following your heart and pursuing your dreams! She’s spoken at the United Nations three times, co-facilitated three different week-long meetings with His Holiness The Dalai Lama and other world leaders, and has met with President Nelson Mandela to discuss some of the most significant issues that our world faces. Through her books, live events, and online programs, Mary has empowered millions of people to achieve new heights of spiritual aliveness, wealth, and authentic success.